Dr. O'Brien is a general dentist practicing in the Lakewood Ranch, Bradenton, Sarasota and Myakka area. Her dental office, Dental Health and Wellness, is family friendly. Dr. O'Brien provides a full range of dental services for both children and adults, including preventative dentistry, cosmetic dentistry, TMJ treatment and dental implants. Dr. O'Brien has traveled extensively, living in the US and abroad. She earned a Bachelor of Arts in Spanish Language and Culture, and then her Doctor of Dental Medicine from the University Of Alabama at Birmingham School Of Dentistry. Dr. O'Brien received additional training in an Advanced Education in General Dentistry program at the University Hospital in Cincinnati where she had the privilege to serve the special needs community in a hospital setting. Dr. O'Brien volunteers her experience during local back to school dental screenings with the South Shore Community Church. 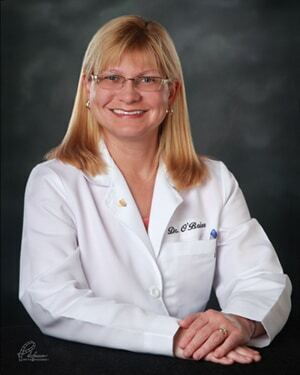 In addition to her professional service, Dr. O'Brien is active in the local Lakewood Ranch community, volunteering for environmental causes like Save Our Seabirds, Sarasota Bay sea grass surveys and local beach cleanup events. Dr. O'Brien has made annual mission trips to implement oral hygiene programs in villages of Central America, most recently in the jungles of Belize. In her free time, Dr. O'Brien enjoys outdoor activities and water sports.